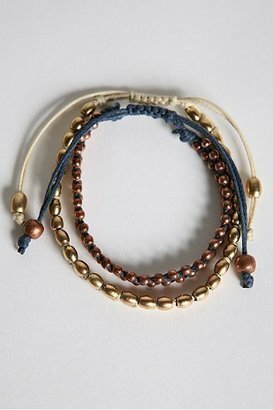 I have these Urban bracelets and I do love them but they definitely don't last forever - the beads fall off the end and you have to invest a lot of time fixing them. 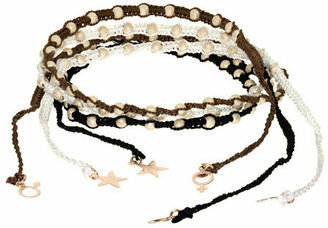 Check these bracelets out that I saw at Forever 21 - they are so cheap and come in a ton of colors and styles! yup..like those forever21 bracelets..maybe you could combine few colors and wear them to get that chunkier look of Urban bracelets.